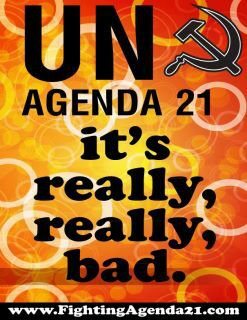 I strongly urge/suggest you support the introduction of the Anti Agenda 21/ICLE bill ! The draft bill (PDF Link Attached) to demand NC noncompliance with ICLEI Agenda 21 is finished and ready for introduction, but we need your help! We can only introduce this bill in the NC State House in May if we have 2/3 approval of a resolution to suspend the rules of the Short Session and allow it to be introduced. Glen Bradley: In order to have the above Anti Agenda 21 bill introduced, we need 2/3 support for an introduction resolution in both the STate House and the State Senate. Here is a copy of the Introduction Resolution that I will be introducing on May 16th, please contact your State House Representative and State Senator and ask them to support the introduction of the Anti Agenda 21 / ICLEI bill! https://docs.google.com/open?id=0ByAbMc4d18WVamVYZjJJbkNfcHcSee MoreApril 12 at 11:23pm · LikeUnlike.